By Patti Page. 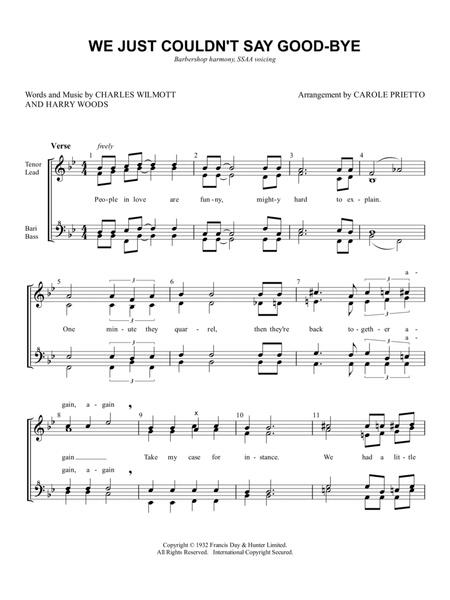 Arranged by Carole Prietto. Sheet Music Single. 6 pages. Published by Published by Carole Prietto (H0.545964-SC001303651). 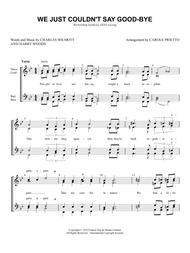 Originally written in the 1930s; later recorded by Patti Page. Swing ballad, suitable for barbershop contest. Notated in barbershop format: Tenor (S.1) and Lead (S.2) on treble clef staff; Baritone (A.1) and Bass (A.2) on bass clef staff; bass clef parts are sung an octave higher than written.